A self guided tour through Croatian history. This wonderful walk takes you through green countryside full of vineyards, olive trees, rivers and forests, beautiful villages and hill top medieval towns. 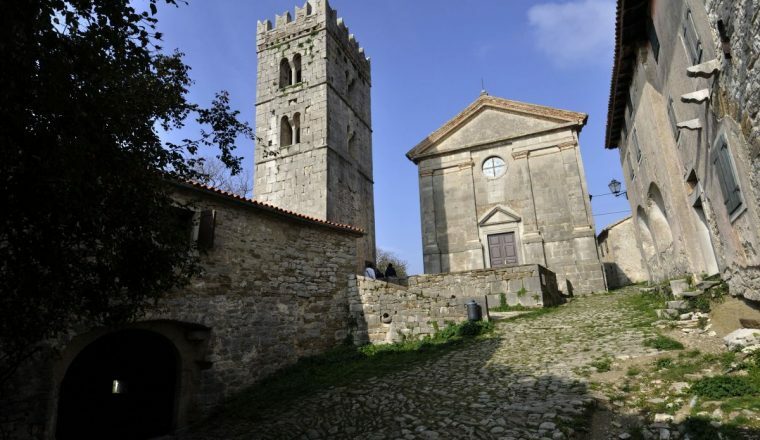 This is Istria, with a fascinating history and culture and breathtaking views. 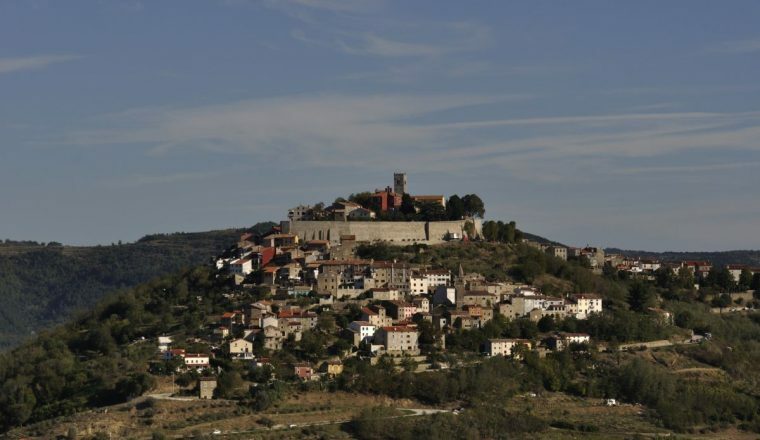 Visit Hum, the smallest town in the world and Motovun and the artist town, Grožnjan. Cross Mt. Učka and walk down to the sea. Add to this excellent food and wine and you have a fabulous walking holiday. Prices are per person, based on 2 people sharing a twin/double room. Supplement for half board £130 per person. It is possible to arrive on any day between 1st March and 30th November. Additional nights are possible, please ask us about this. Transfers can also be arranged for you. You will be met by our local representative at the hotel reception area, for a briefing and you will be provided with your package including hotel vouchers, maps and a road book and luggage tags. Overnight in Buje Area. We can arrange for you to be picked up from Poreč and transferred to your Hotel. Short transfer to Brtonigla (10 minutes). Vineyards and olive groves and a network of pathways through meadows and woods. An area of superior wines and olive oils – many family cellars often open to passers-by! After 3 hours you reach Buje, a small town hilltop town full of history from where there are fine views across the terraced landscape. Overnight in Buje area. After a 10 minute transfer you start walking along the former Parenzana railway line. This was a narrow – gauge Austrian railway connecting Trieste with Poreč from 1902 until 1935 through a series of small towns. Grožnjan will be your start point and then following the route of the old line across rolling countryside you reach the village of Livade, the truffle centre of the world. Facing Livade is the hill town of Motovun. Overnight in Motovun. Distance: 24 km / 15 miles. Time: 5-6 hours. Points of interest: Parenzana ex railway line, Tunnels and bridges, Grožnjan the city or artists, Livade the truffle center of the world, Motovun. A short transfer (15 minutes) to Oprtalj, a charming little town from where begins the Istrian Mountain Trail. The route goes downhill into the forest, passing the village of Sv.Ivan and then St. Lucija with its beautiful church. There are some wonderful views over the Mirna valley, after which the trail passes Pietrapelosa castle and leads down towards the valley floor. A beautiful view over the town of Buzet where you spend two nights. Alternative shorter walk is available at approximately 13 km / 8 miles, taking 2-3 hours. A circular walk today takes you first along the river and then entering forest, passing waterfalls and small lakes. 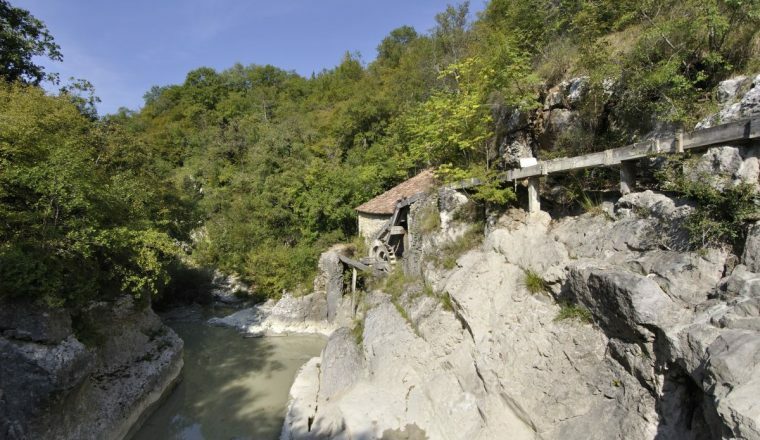 The trail leads you not too steeply to Korita, with its natural springs and pools and an old watermill. 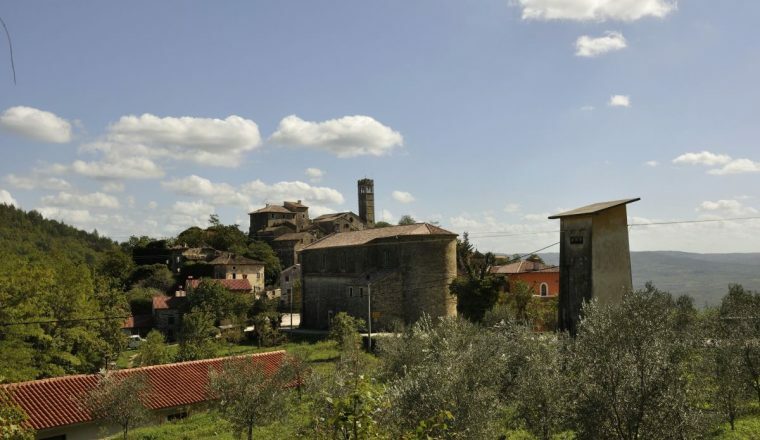 Passing through Benčići, an abandoned village of traditional Istrian stone houses, you will see Hum and it’s unmistakable church tower in the distance. When you get to Hum, you will see why it is the smallest town in the world. Here you may eat in the local “konoba”, or restaurant, which in Hum offers you only traditional Istrian dishes. The ‘mistletoe way’ will lead you all the way back to Buzet. Overnight in Buzet. Distance: 15 miles. Time: 6-7 hours. Alternative shorter walk is available at approximately 12 km / 8 miles. Time: 3-4 hours. Points of interest: Mirna river canyon, Nature, Old mill on the river, Kotli (natural pools), Hum the smallest city in the world. Transfer to Poklon (30 minutes), lying in a saddle between two hills. The trail takes you to the top of Mt. 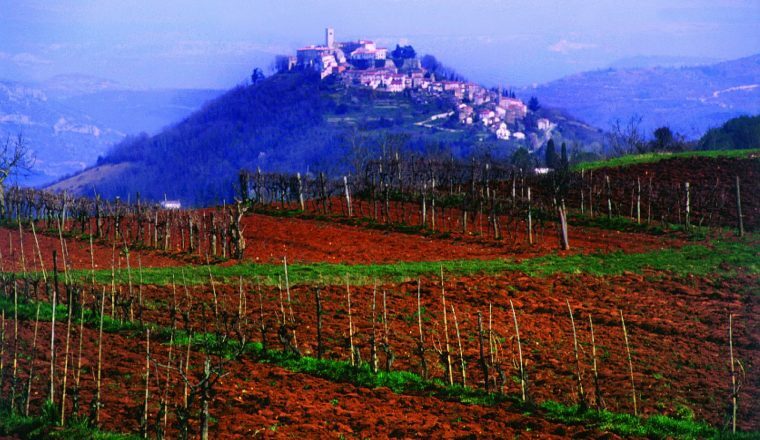 Učka, the highest mountain in Istria at 1401m, from where the views over Kvarner Bay; the mountains; and the whole Istria peninsula – even the Italian Alps when the weather is clear, are quite stunning. From here descend amid cooling oak and chestnut forest to the sea at Lovran. Overnight in 4* hotel in Lovran. Distance: 11 km/7 miles. Time: 4-5 hours. Ascent: 452m. Descent: 1386m (optional 452m descent). Alternative shorter walk is available at approximately Ascent: 90m. Descent: 390m. Distance 6 km/4 miles. Time: 2 hours. From £695 per person based on two people sharing. All rooms with private bathroom. Breakfast each morning. By air Pula or Trieste airports. There are bus transfers from both Trieste and Pula to Porec. Pula is closer and journey is about 1 hour. Trieste is about 2.5 hours.